TIRED OF CLEANING NATURE OFF YOUR CAR? 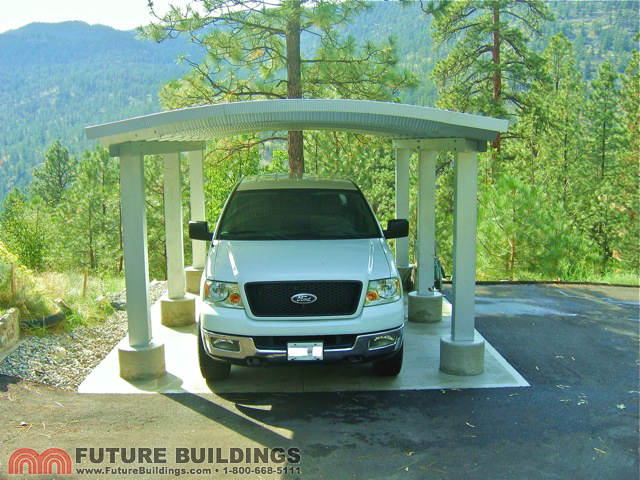 The Ultimate Carport is a superior quality steel shelter designed to protect your vehicle and its value! If you live in an area susceptible to severe weather conditions, you have come to the right place. 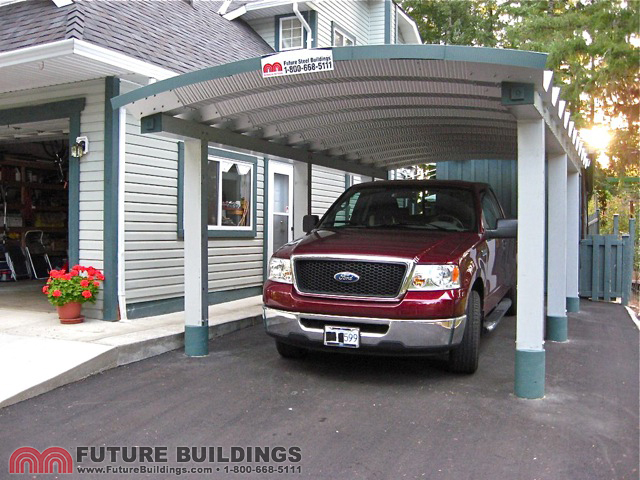 Contact Us to manufacture an inexpensive metal carport kit suited exactly to your needs and your environment. 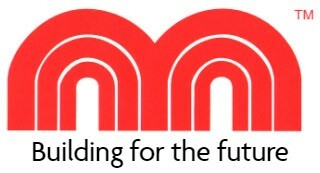 A flexible and compact design makes it the perfect solution – in both size and function – for urban areas typically with less available garage space. 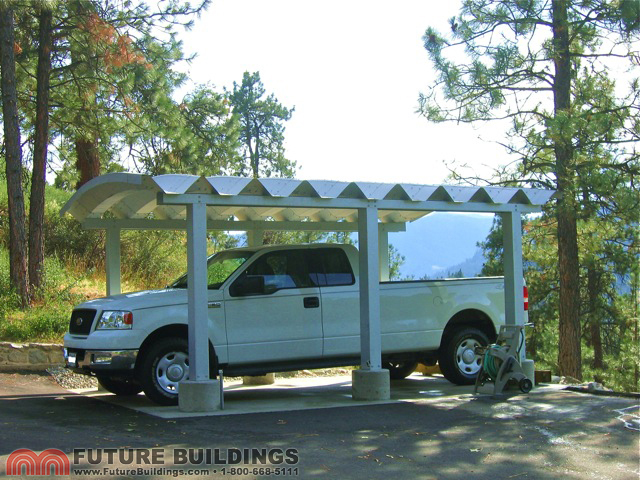 The Ultimate Carport is the newest style of metal building kit available from Future Buildings. 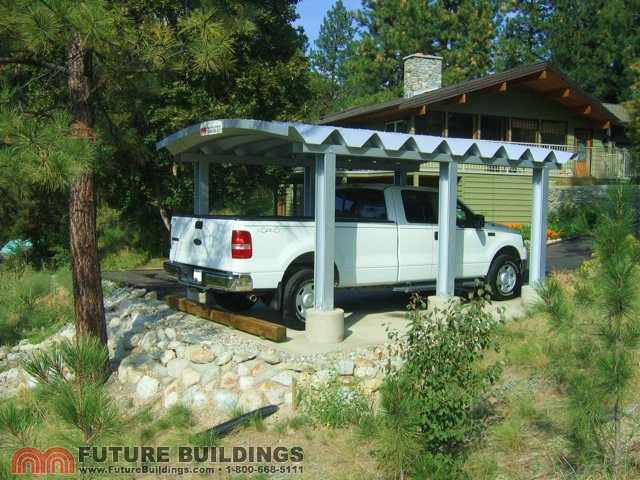 Like all of Future Buildings’ steel building kits, The Ultimate Carport comes with our 30-Year Rust Perforation Warranty*. * All Future Buildings Steel Buildings and Carports include our Rust Perforation warranty good for a full 30 years from the date of purchase. 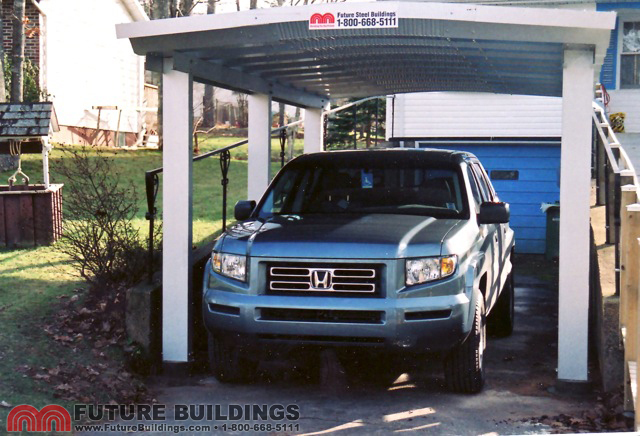 The Ultimate Carport is available for FAST delivery. 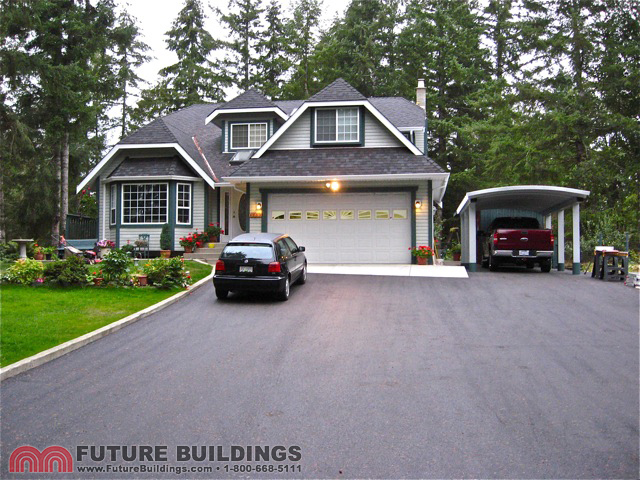 Call one of our experienced and knowledgeable steel building specialists. 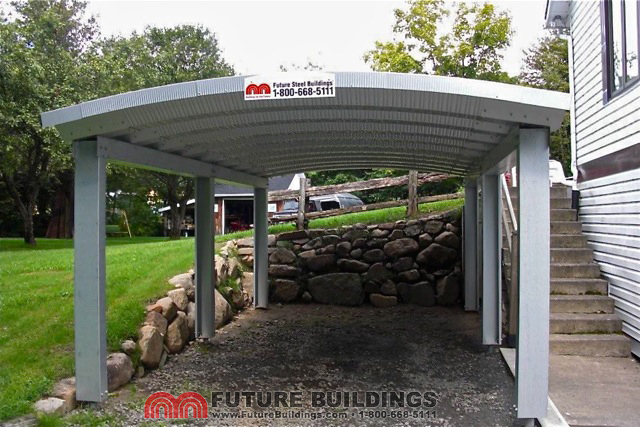 We look forward to answering all of your questions, providing a free no-hassle carport quote, and getting you started on your steel carport project. 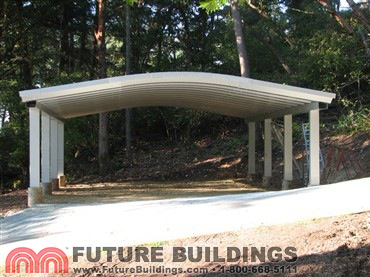 This single radius, clear-span structure features superior quality posts and does not require a concrete foundation. It is the perfect coverage solution for tight or cramped spaces. 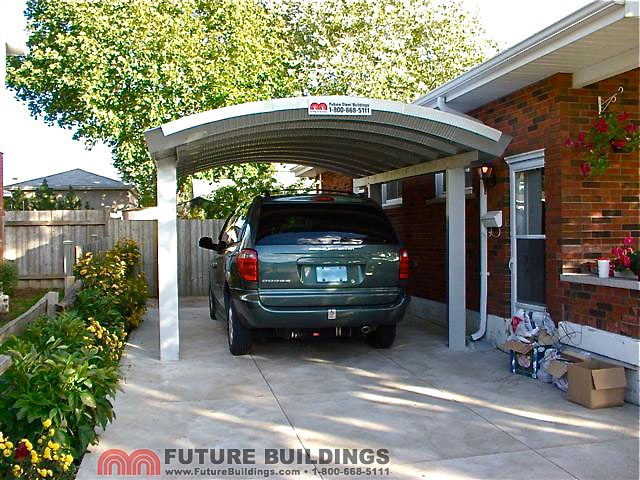 The Ultimate Carport is available in a diverse range of sizes ranging from 12′ (3.657m) wide to 25′ (7.62m). 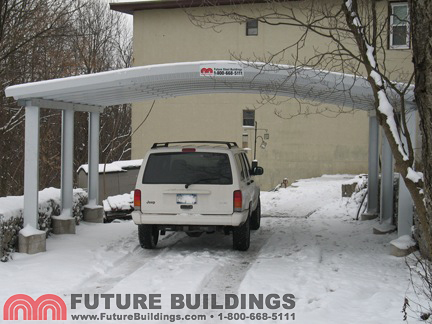 The length of the Ultimate Carport is virtually unlimited making it perfect for both commercial and residential applications. Order yours today and protect and extend the life of your vehicles! An ideal DIY project geared at virtually any skill level.